An October letter from Gov. Bill Walker to an ExxonMobil executive suggests the governor deeply distrusts the company when it says it will continue to support the $55 billion Alaska liquefied natural gas project as the state takes it over. “Please do not take steps to thwart Alaska’s ability to monetize our gas,” the governor says in the Oct. 14 letter to Jim Flood, an ExxonMobil vice president. The governor also asks the Houston oil giant to be complimentary of the project when speaking with potential buyers of North Slope natural gas, as Walker says he has done with ExxonMobil. The letter, obtained by Alaska Dispatch News under a public records request, was written amid negotiations among ExxonMobil, BP, ConocoPhillips and the state over Alaska’s takeover of the project. The proposed deadline to have agreements signed, the end of October, still has not been met. Though the oil companies have pursued the project since 2012, more recently they’ve been backing away, especially since a study in August raised doubts about its global competitiveness. But the study also said a state-led project could improve chances by lowering costs through tax exemptions and other advantages. The project has been led by ExxonMobil, but producers said they will support a state-led project. As envisioned by the developers, the plans call for removing the vast store of gas from the North Slope and shipping it along an 800-mile pipeline to a liquefaction plant in Nikiski for transport and sale to Asian utilities. For about as long as oil has been pumped from state leases on the North Slope, Alaskans have dreamed of a gas pipeline operating in tandem with the trans-Alaska oil line. But gas-line proposals have come up against a single, huge obstacle — natural gas isn’t as valuable a commodity as oil, and North Slope gas is even less valuable than gas from other places because of impurities. Over the years, as gas came out of the ground with oil, it was pumped back to increase reservoir pressure and keep oil flowing, leading to much more production than was originally estimated. Meanwhile, its low value has posed problems for financing a gas pipeline. Walker has said he wouldn’t attempt to use any of Alaska’s savings to build a line, but would only finance it with promises of gas sales, such as to Asian utilities. Walker, an advocate of a gas line long before he became governor, has blamed the death of past pipeline projects on the producers’ unwillingness to sell gas they produce with oil, preferring instead to pump it back into the ground. But in September he called their new commitment to provide gas to the state a golden opportunity. Walker’s letter shows he is skeptical of ExxonMobil’s intentions, though he says he doesn’t treat them differently than any other company. Walker agreed to an interview Tuesday. In it, he repeated his fear that ExxonMobil might hinder the state. He said his concern was based, in part, on a comment a year earlier from Rex Tillerson, chief executive of ExxonMobil, who called Alaska “its own worst enemy.” Tillerson blamed the state’s failures to get a gas line on a series of governors who would each introduce a new project. Tillerson’s statement came shortly before Walker spoke at the large LNG Producer-Consumer Conference in Tokyo, where Walker had said he would pitch the project and foster relationships with possible investors. “It was not helpful,” said Walker of Tillerson’s statement. In his letter to ExxonMobil, Walker noted that the company had embarked on a global expansion of gas-liquefaction projects in countries such as Mozambique and Tanzania. Yet in February, he added, ExxonMobil offered to slow the pace of gas-line development in Alaska, or hand over the project to the state. Walker also offered no sympathy for an ExxonMobil demand for a “fiscal agreement” — a euphemism for a long-term deal on taxes — before it will sell its natural gas to an Alaska project. Keith Meyer, president of the Alaska Gasline Development Corp., a state-owned corporation, said ExxonMobil’s “desire” for a tax deal before gas sales can occur has not delayed transition of leadership to the state. “I wouldn’t say there’s any significant issue that’s holding them up that we know of,” Meyer said of the negotiations. The companies are currently providing thousands of project documents to the state as part of the handover, Meyer said. The partners have spent more than $500 million studying the project, and studies and plans have been estimated to cost $2 billion more before it can advance to construction. Larry Persily, oil and gas adviser to Kenai Peninsula Borough Mayor Mike Navarre, said the request for a fiscal agreement before gas is sold does not surprise him. “Politically, it doesn’t endear them to the Alaska public, but it’s nothing different than what we’ve heard for a long time,” he said. ExxonMobil is “progressing handover” to a state-led project, according to an email from Hans Neidig, ExxonMobil’s public and government affairs manager in Alaska. Neidig said the company wants “fiscal stability” and mutually agreed terms before making its gas available. “Such terms are common practice within the industry,” the statement said. Such a deal has proven elusive. In 2006 former Gov. Frank Murkowski sought a fiscal agreement with the North Slope producers locking in taxes for three decades as part of yet another, $25 billion project that would have moved gas overland through Canada to U.S. markets. The idea was rejected by the Legislature. It was constitutionally questionable because it would have bound future lawmakers. Walker said in his letter that a fiscal agreement has been associated with ExxonMobil’s plans to own a piece of the project’s hardware, but that is not in issue now. “Since that is no longer the project structure, it is not necessary to proceed with fiscal certainty,” Walker wrote. 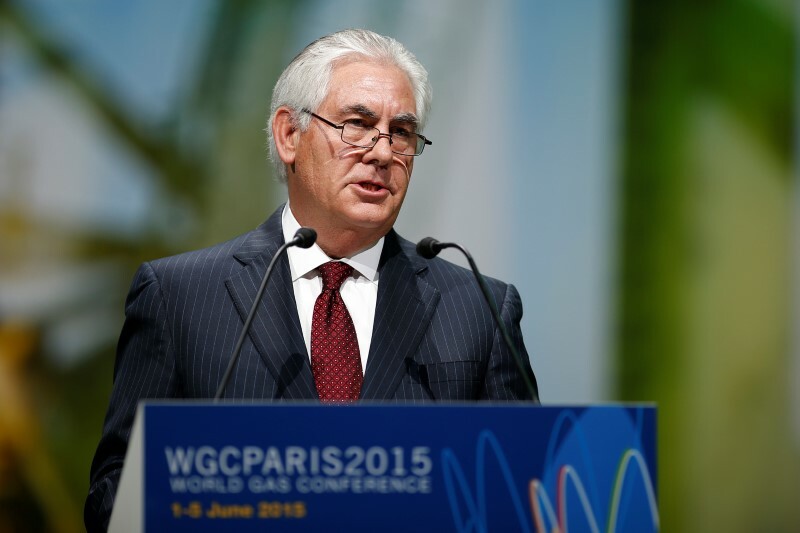 ExxonMobil says it has indeed made significant investments to support a gas project. It says it has spent more than $275 million to study the current gas project in Alaska and two earlier ones. It also invested $2.6 billion of the $4.2 billion that companies have paid to develop Point Thomson — a North Slope field with huge gas reserves that could supply a gas line. The Walker administration has estimated that the state, through tax subsidies to ExxonMobil and the other investors, would pay about half the Point Thomson project costs. Before he was elected governor in 2014, Walker said the oil companies have held gas line projects hostage to thwart increase in oil production taxes. Does Walker still hold that view of ExxonMobil? Walker, being diplomatic, wouldn’t answer. 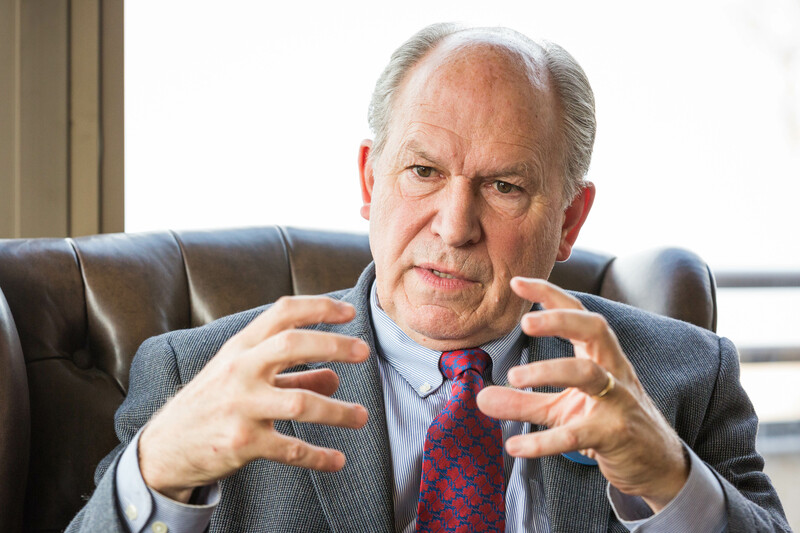 “What’s important is what we do from this point forward to monetize Alaska’s natural gas,” Walker said.